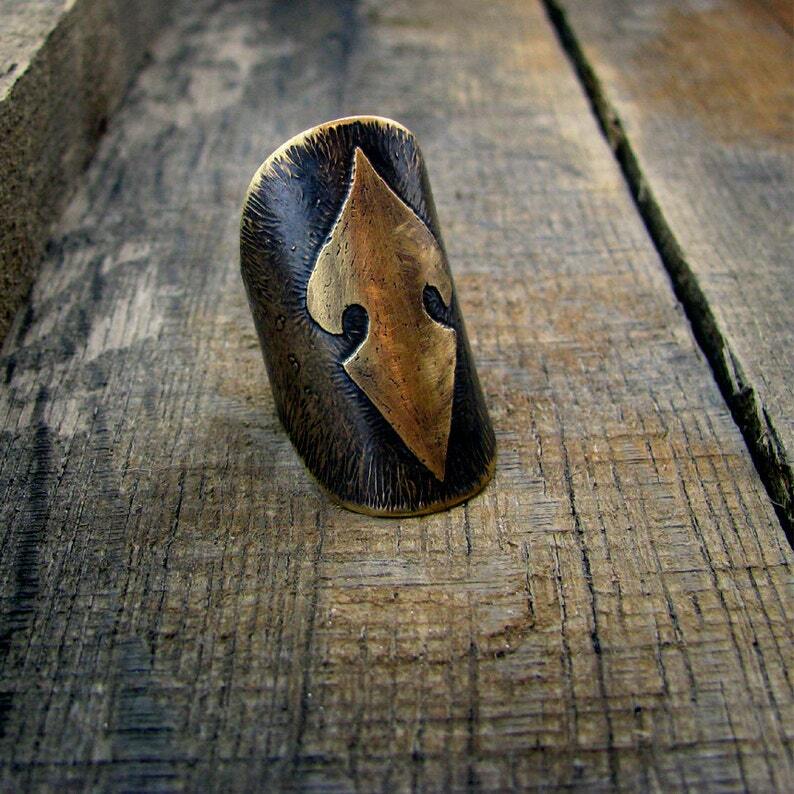 A large hand pierced and formed brass ring, with a hand drawn and etched medieval shield inspired shape on the exterior, has a nice weight to it, yet is extremely comfortable to wear. The interior that bears my makers mark E², is hammered and sanded smooth for a comfortable feel against your skin. 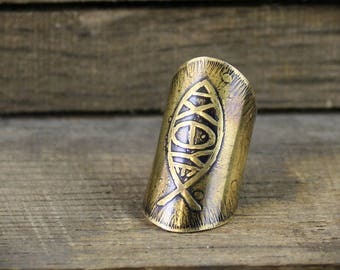 The organic and rustic textures are a lovely side-effect of the etching process, and lends a ancient feel to the ring. 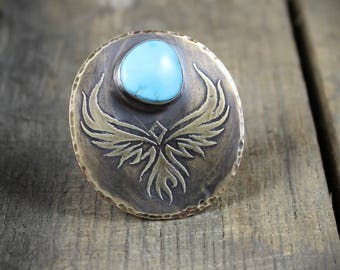 This piece ships Priority Mail with delivery confirmation and free insurance for the United States, and 1st Class Mail for Everywhere Else! If you should require a different shipping method, please contact me prior to purchasing to discuss available options.